Rome was not built in a day. 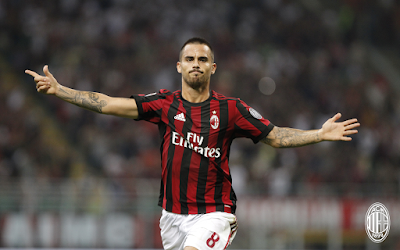 More importantly, AC Milan did not become AC Milan overnight. We’ve all talked about what rebuilding would be like and how long it might take, and our new management have certainly sped that timeline up by purchasing so many quality players. But it’s still going to take some time. And we saw that vs. Cagliari. It wasn’t the greatest game. But the team are finding themselves. And finding Milan. Who says we had no quality last year? The match started off with a bang when Cutrone scored, a nice tap in from a brilliant Suso assist. 1-0 Milan. But Cagliari never sat back, and Donnarumma had a heartstopping save 1v1 in the 12th minute. 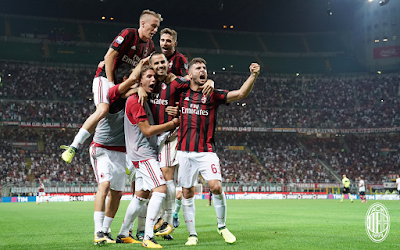 Not even a cooling break would slow them down, and it seemed that Milan were pinned back way too often in this match. Donnarumma made my heart stop again in stoppage time of the first half when he came way out of his box, but of course he made the save. Had he not, it would have been a disaster. Cagliari were relentless, and in the 56th, it finally paid off when Joao Pedro scored an equalizer. Milan also had their chances, it’s not as if they were just sitting ducks, waiting for something to happen. In fact, the possession was almost even, with Cagliari getting 51%. But the moment of truth came in the 70th minute, when Suso scored an exquisite free kick to make it 2-1. We said set pieces were going to be beautiful this year with our new acquisitions, but we may have overlooked someone we already have. That was absolutely breathtaking. Unfortunately for Cagliari, their luck got worse when Joao Pedro’s back collided with Bonucci’s knee, and he had to be stretchered off. Hope he’s okay. Because it was a back injury, it took a long time for them to get him off the pitch, which meant that between that and other stoppages, Pairetto allowed a whopping nine minutes of stoppage time. Nine minutes as in ten per cent of an entire match of stoppage time. Cagliari thought they got a penalty, but VAR said no. Then Varela was cramping, it was all going down hill for them. But luckily for them, Milan have Montolivo, who absolutely fell apart as the game continued. First he had a typical Montolivo shot that was wide, then he thought he earned a penalty, but didn’t, then a yellow in the 89th. He was like Cagliari’s own 12th man. Or course poor Kessie scored a goal late in the match, but it was called back for offside. 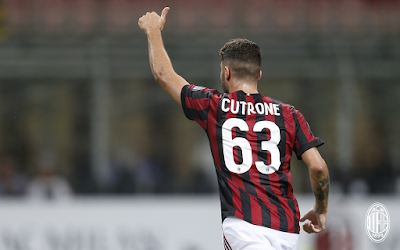 Meanwhile, Biglia had come on for Calhanoglu in the 63rd, Kalinic made his debut in the 78th coming on for Cutrone, and finally, Antonelli replaced the astonishingly fit Borini in the fourth minute of stoppage time. But the highlight for me was late in the match when Donnarumma drew the VAR sign asking for a play to be reviewed. That was absolutely brilliant. Kids and their technology, you gotta love it. This wasn’t beautiful football. Certainly it was better than Thursday’s Europa League 3-5-2 disaster. But it was a game that you could see growth. And players learning from mistakes. And growing as a team. But most importantly, they won. 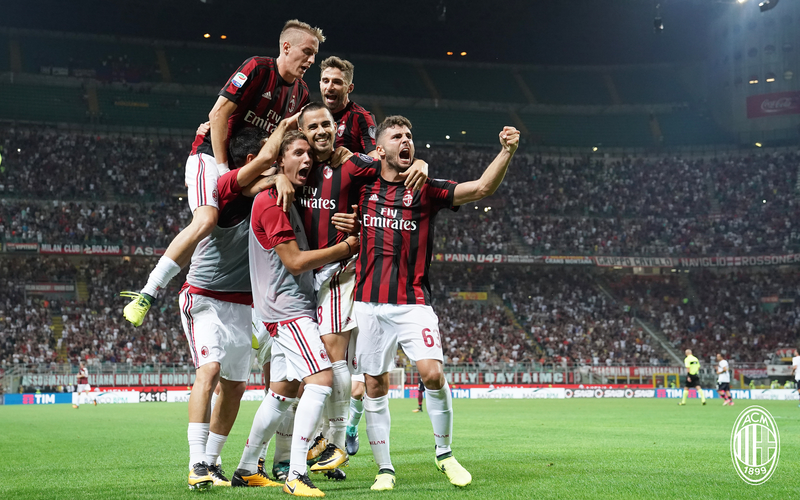 And that is only the second time in eleven years that Milan have won their first two matches, too. Which is massive. It speaks volumes about the mentality that is already there, and yet we haven’t even scratched the surface of the talent we now have available. Still, beautiful football is great, but winning is even better. And with a brand new team (eleven new players,) to win like that is phenomenal. If I didn’t know any better, I’d say that they were finding Milan.